Priced at £115, the Crucial MX500 hits a price:performance point that nothing else can match at the moment. This makes the MX500 absolutely ideal for rejuvenating an old laptop, adding some new, fast storage to a PC or even using this as your main PC drive within a new build. Aesthetically, we don’t really have many positive words to say about the drive. If you’re hiding it away inside a laptop or a PC that will be hidden from the human eye for months, if not years at a time, this will be absolutely fine. The silver and blue sticker looks too dated to be considering appealing anymore – perhaps Crucial can buck their current trend of styling and move to something a little more modern in their next iteration of drives. It’s also very difficult to tell the difference between their lineup, due to the persistent use of a blue sticker on a silver drive. 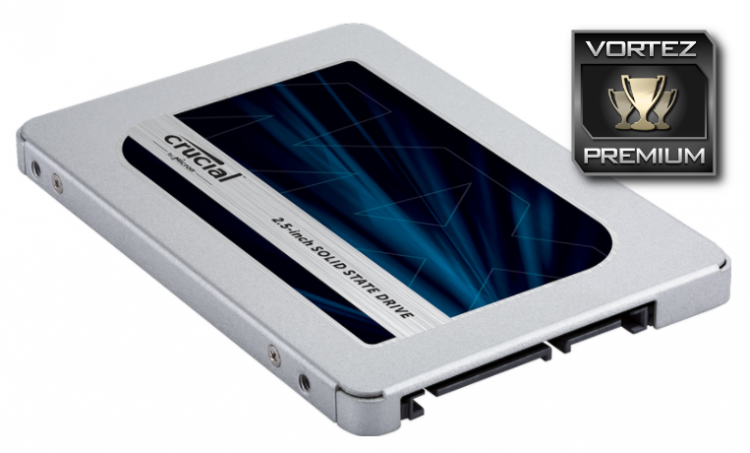 Due to the bandwidth limitations of SATA 3.0, we haven’t really seen any huge jumps in SSD performance for a few years now, with manufacturers instead focusing on other areas, such as endurance, random access speeds, input and output and most importantly, reducing cost. Our test results reflect this massively, with the drive performing roughly the same as the other Crucial SSDs we’ve tested recently; however, when the price is compared to the performance of the drive, the Crucial MX500 suddenly becomes a very attractive option. Unless you need the absolute fastest drive out there, the MX500 offers a combination of price and performance that nothing can match.